The Boston Interfaith Leadership Initiative (BILI) program is designed for outstanding undergraduate students with a demonstrated commitment to interreligious and cross-cultural engagement on their respective campuses. This fellowship provides participants with the opportunity to engage with peers from other schools in, a structured program of dialogue, study, and leadership development. BILI has been an amazing capstone to my interfaith experience on campus, and has allowed me to explore and expand what it means to participate in interfaith spaces, as well as how to actively create them for others. It has been so rewarding to learn from the other fellows about what they are doing on their campuses, and I have been consistently inspired by the sensitivity, drive and creativity of the entire cohort — I am so excited to see what these connections lead to in the future! This fellowship program is open to outstanding undergraduate leaders from the participating schools with a passion for interreligious and cross-cultural engagement. Religious and spiritual life professionals from the participating schools will nominate 2-3 students. Each student must fill out a brief application form. The Miller Center staff will make final selections of all fellows. Cohorts range in size from 14-16 fellows. Each participant will actively engage in all of the activities listed above. There will be brief readings to be completed in advance of each in-person meeting. In addition, each participant will also be expected to write two blog posts (750 words, fall and spring) or a podcast (5-15 minutes) on a topic relevant to the fellowship experience as well as contribute to the planning & implementation of the fall and spring student events. Each participant will receive a $250 stipend upon completion of the program, submission of blog posts, and a brief exit interview and written evaluation with the fellowship coordinator. The 2018-2019 application is closed. Questions: Contact Tom Reid, Assistant Director, Miller Center, Hebrew College: TReid@hebrewcollege.edu. Sarah Bickford is a junior at Boston University where she is majoring in Psychology and double minoring and Deaf Studies and French. She is from Newton, Massachusetts, but has lived in a few different states and experienced several manifestations of Christianity. As a second-generation “preacher’s kid,” active participation in church life and liturgy were integral parts of her childhood. 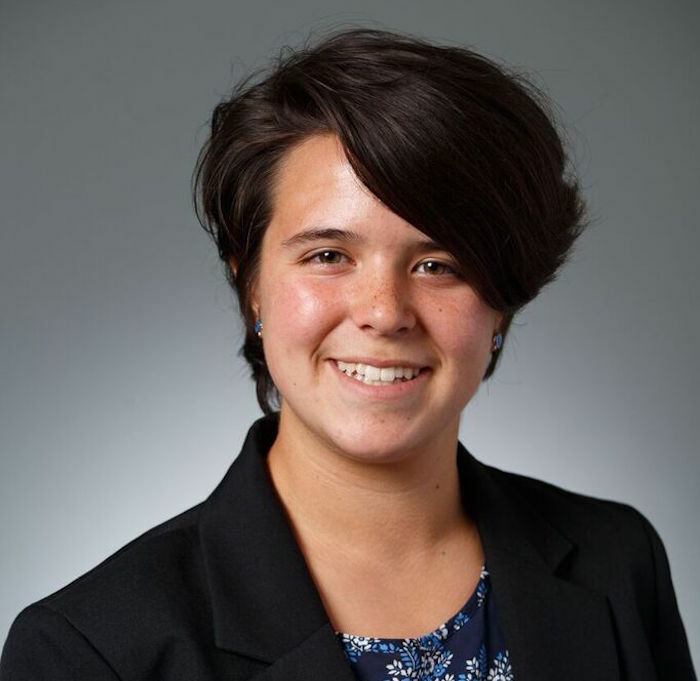 She is now actively involved with her campus’ Episcopal ministry, which has sparked her interest in how different campus-based faith groups can work together to achieve common goals. In her free time, she can be found dancing ballet, ballroom, or west coast swing. 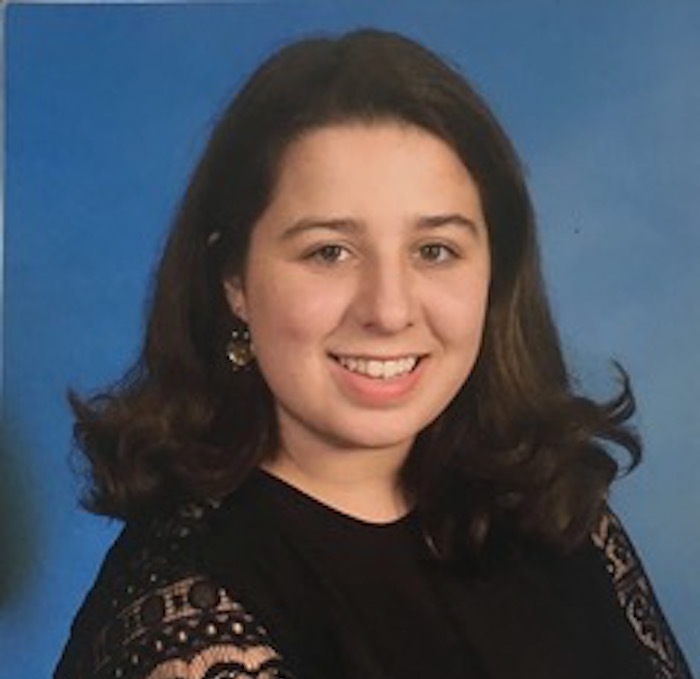 Ilana is a junior at Brown University and has been deeply involved in interfaith work since her time at Gann Academy, the New Jewish High School of Greater Boston. She is the co-founder/co-director of BRIJ (Building Relationships: Islam & Judaism), a Brown-based program that works with Partners in Peace, a partnership between Rhode Island’s Islamic School and Jewish Community Day School. Through collaboration with Partners in Peace, Ilana and the other BRIJ student leaders meet weekly with Muslim and Jewish fifth graders for text study and service work. 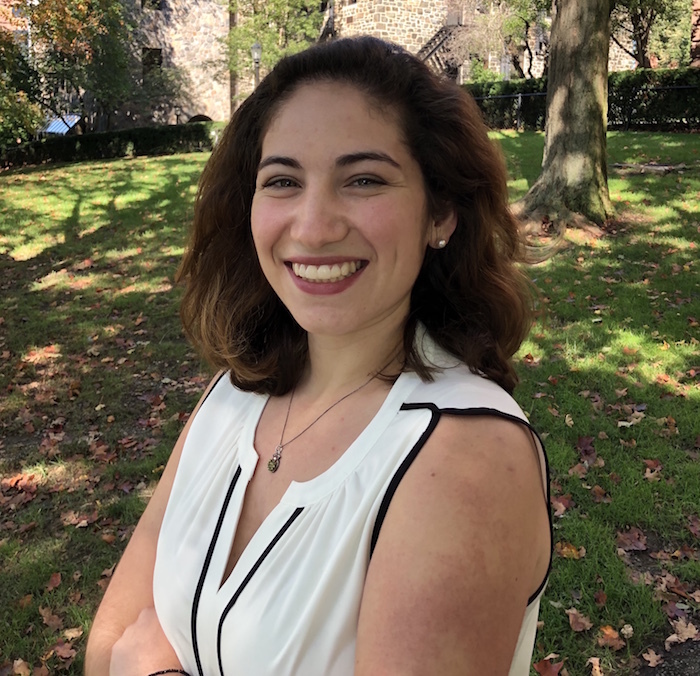 Ilana also co-leads MOCHA (Multifaith Organizing for College Hill Activism), a network at Brown that connect activists from all faith backgrounds to work together for social change. Finally, she is honored to serve as the Brown-RISD intern for the Avi Schaefer Fund, a program that works with over a hundred campuses across the country to pursue interfaith and peace initiatives. 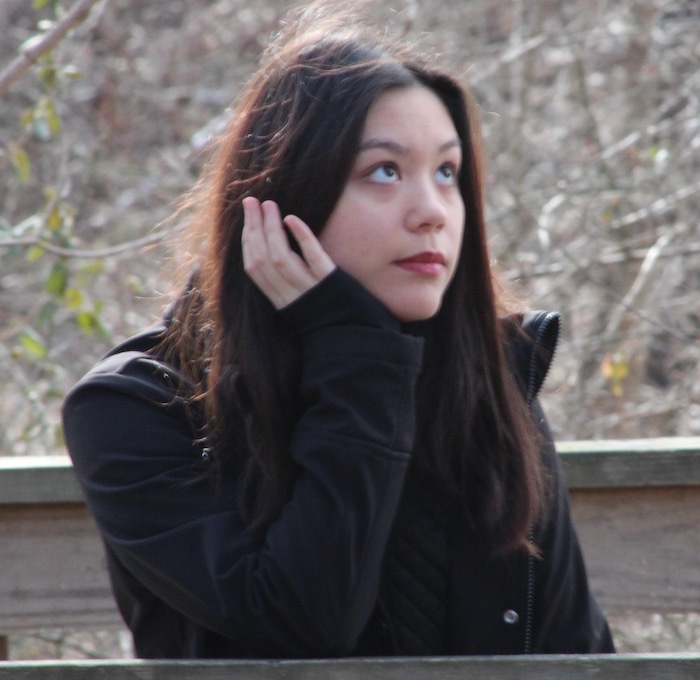 Ilana enjoys studying languages (Spanish, Arabic and Hebrew), writing, comedy, and spending time in nature. She is thrilled to be participating in the Boston Interfaith Leadership Initiative! I’m Joseph, a junior at MIT majoring in Philosophy. I grew up in Houston, Texas as a Baptist Christian. Looking for a personal experience of spirituality and dissatisfied with the lack of inclusion in my community, I’ve been studying Taoism and Sufism to learn about how spiritual practices deepen life. Some of my hobbies include computer security, soccer, and reading. I joined the MIT Addir Interfaith Fellowship because I believe that interfaith has the power to bridge conflicts and promote understanding. In addition to solving sectarian and diversity problems, I think interfaith can help us learn about how our traditions mirror each other and discover the purpose of spiritual teachings across religions. As Interfaith Council Chair of Addir, I’m trying to bring together the different student faith and non-faith groups on campus into an Interfaith Council, the goal of which is to support and increase the visibility of these groups on campus. I’m excited to learn from you all! My name is Olaoluwa and I am a sophomore at Tufts University. I am majoring in Mechanical Engineering. I am from New, Carrollton, Maryland which is near our nation’s capital, Washington DC. My favorite book is the Hitchhiker’s Guide to the Galaxy and my favorite movie is Forrest Gump. I am a Christian. I enjoy visiting museums and my favorite TV show is Planet Earth, beautiful imagery. An instrument I play is the tenor saxophone and my favorite artist is J Cole. Both my parents are Nigerian so I am a big Super Eagles fan, Nigeria’s soccer team, and I also speak Spanish. In a past life I was an Eagle Scout and camping was my favorite thing to do and now a dorm room is my humble abode. I am a first year Resumed Undergraduate Education (RUE) student at Brown. 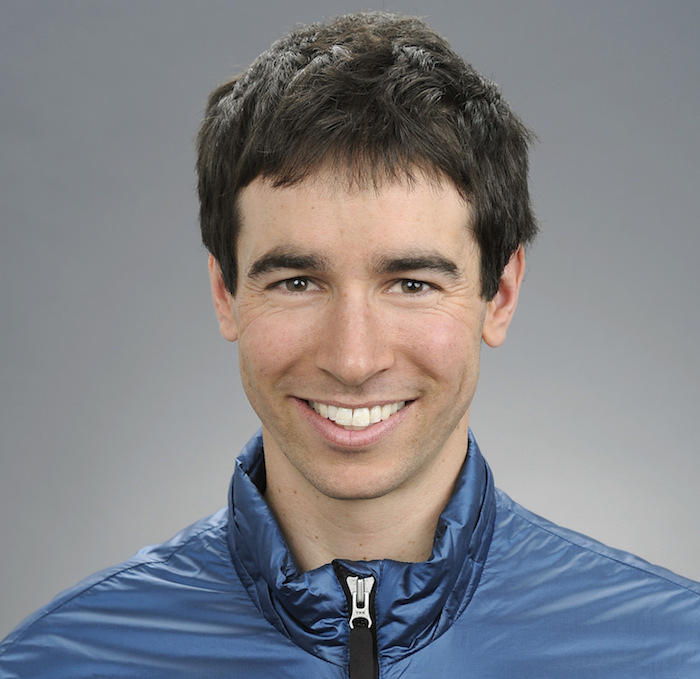 I am pursuing my bachelor’s degree after an 11-year gap from high school to pursue an Olympic cross-country skiing career. From Colorado, I have lived more recently in Utah and New Hampshire. At Brown I am interested in studying Economics and Public Policy with a focus on opportunity inequality. I am also working as an athlete presenter for the US Anti-Doping Agency. I currently identify as Jewish Agnostic and am honored and excited to be a part of the Boston Interfaith Leadership Initiative. Hello! 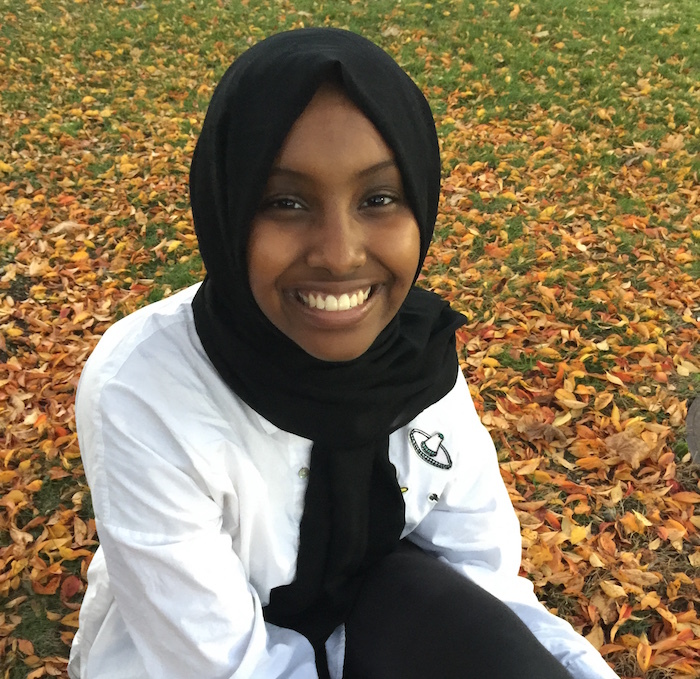 My name is Najma Jama and I am a Sophomore at Tufts University interested in studying History, Philosophy, and Cognitive Brain Sciences. I was born and raised in the Greater Boston Area, with a brief detour in Cairo, Egypt as a child. These two transitions, from Boston to Cairo and Cairo to Boston and from faith minority to majority and vice versa, marks the beginnings of my ever-evolving conception of faith and the importance of interfaith work. Faith is an entity by which many hold central to their identity, and to be able to bridge across difference in relation to faith is a necessity in our global and local communities, and this is the belief that I hold dearly and serve as a basis for my intellectual and academic pursuits. Apart from interfaith and religious interests, I love restful days, long slumbers, quiet spaces, cozy furniture, and warm hugs. I am thrilled to have joined BILI, as I wanted to join a space that celebrates diversity of philosophy and faith tradition, as well as utilize a platform to engage with the environment through interfaith activism. May peace and blessings be with you! 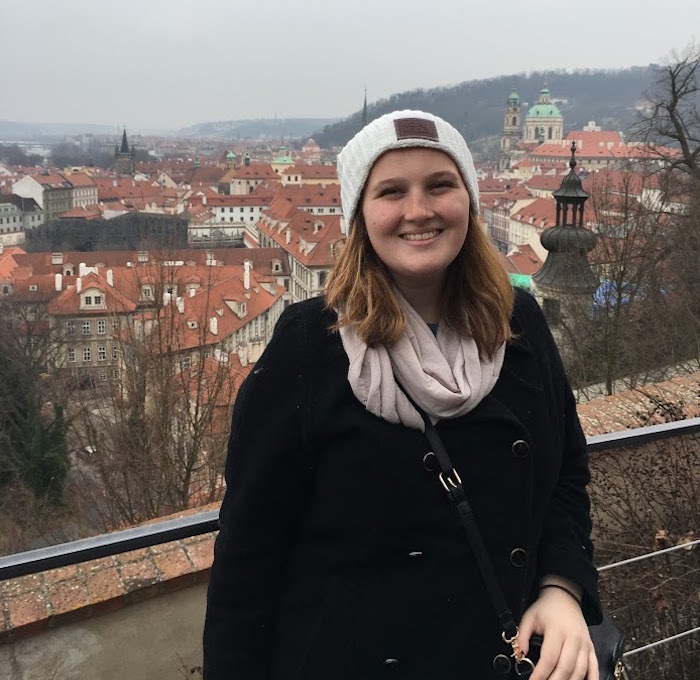 Elizabeth Little is a senior at Bentley University finishing her bachelor’s degree in Marketing with a minor in Information Design and Corporate Communication. She is an avid reader and food lover from South Shore Massachusetts. If she is not working or studying, she is probably in the kitchen trying out a new recipe or watching Netflix. Last semester she studied abroad in Barcelona, Spain where she lived with a host family and traveled often. She has been working as an assistant at the Spiritual Life Center on her university campus since her freshman year and she really loves the people she has met and the opportunities it has given her. Hello! My name is Molly McGreevy. I am a sophomore at Bentley University, but I call Narragansett, RI home. I have two younger sisters whom I miss dearly. My major is currently Undecided Business, but I will definitely be minoring in International Affairs. I was raised in the Catholic Church and have delved deeper into my faith since arriving at Bentley. I am the events coordinator for Bentley’s Catholic Association and I love every second of it. Encouraging students to get involved with their faith in college is challenging, but when is a better time to focus on your growth than school? I am also the treasurer of the Bentley Literary Society. In my free time you can find me reading inspirational books, singing with my roommate, cheering for Boston sports teams, or exploring this great city. I’m Matisse, a junior at MIT studying philosophy and pure mathematics. I grew up in the Presbyterian church, but lost faith in high school; for years I identified as an atheist, but these days I’m more interested in the semantics of ‘belief’ than the question of whether God exists. In college, I found a home at a Lutheran-Episcopal service, and now care deeply about the Bible and Christian tradition. I joined the Addir Fellowship, MIT’s interfaith dialogue program, last year on the recommendation of a philosophy TA; I found not just the good conversation for which I had come, but a new and well-oriented way of posturing oneself in the world. I’m now interested in dialogue theory, and also the limits of dialogue and what interfaith engagement looks like past dialogue. I’m excited to work and learn with the other BILI fellows this year! My name is Jules Poupard, and I am a student at Wellesley College. I am a believer of the Pagan system of faith. I am avid promoter of interfaith efforts, hoping to spread understanding, acceptance, and community with those of any and all spiritual backgrounds. I believe in connections, tolerance, harmony, and love; I hope to contribute all of these things in as many ways as possible with my time on earth. I say hello to the sun every morning, stir my hot cocoa clockwise for good luck, and am in love with the moon. Most of all, I want to be mysterious, adventurous, and daring. We all could afford to be a little more daring. Sophie Wiener is a Film and TV student at Boston University who, somehow or other, ended up with a sincere passion for understanding people from different religions and helping people connect with each other. Seriously, your guess is as good as hers. Growing up on the Jersey Shore, she had little exposure to any religion but Judaism. She attended services as well as Hebrew School at Temple Beth Miriam in the town of Deal, and later worked as a teacher’s assistant there. So of course, when she got to college, she immediately joined CRU, a Christianity club—life comes at you fast, folks. Her years of experience in this club have left her determined to help shape a world where people are less ignorant of different religions, and more importantly, the of the people who practice them. 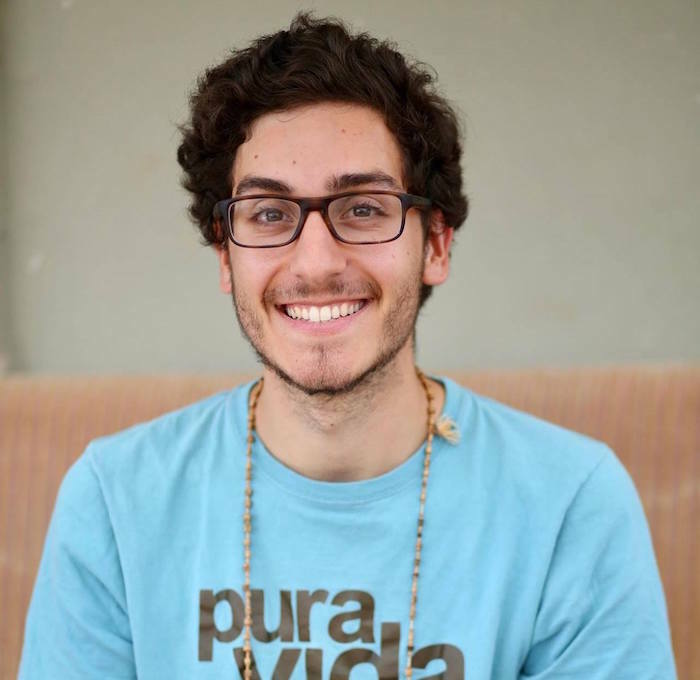 My name is Amitai Abouzaglo — I was born in Dallas, Texas to a Costa Rican mother and a Moroccan-Israeli father. I grew up in an insular Jewish community, attending religious day school through the week and community synagogues and centers on the weekend. In those spaces I made my first friends. In those spaces I first considered my own strangeness. Those narrow spaces cultivated within me an undaunted love for people. I came to my current engagements with peacebuilding movements in Israel/Palestine and interfaith community building in accord with this love. I think abstractly: in the clouds of thought-formulation I am attached to realities of unfettered equality. Yet the clouds, I have found out, expand and thin out. The consistently grounding feature of my life is referencing that engulfing love emanating from my original narrow community. Bringing those particular (local/familiar) elements and eccentricities together with the universal conceptions of common brotherhood and sisterhood (international/other) is what I care most deeply about. I am from Kashmir Valley. I am a sophomore at Wellesley College, studying Economics and Political science. I want to work to innovate and better the education system overall and want to help create a peaceful environment in Kashmir. Education could be made a force to unite people, cultures and nations for a peaceful and sustainable future (UWC mission). Given the current state of affairs, creating a strong understanding, awareness and tolerance of each other’s values is essential and need of the hour. I feel honoured that I have been given a chance to be a part of this fellowship. I look forward to broadening my understanding of other cultures and religions though this fellowship. I love badminton, volleyball and rock climbing. And I love to smile. Celine was born in New York City in 1999 and is a French, Swiss and American student. She graduated from the Lycée Français de New York in 2017 and is now studying at Wellesley College. 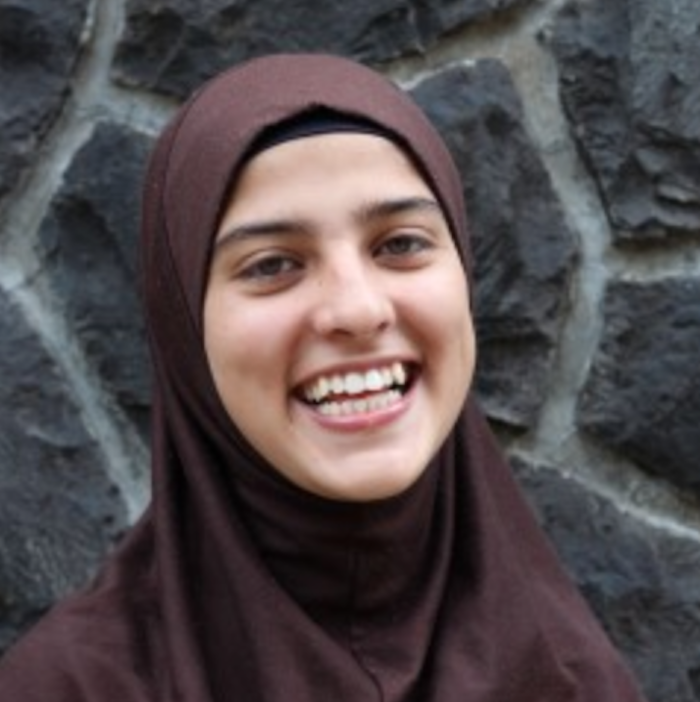 She is a practicing Roman Catholic and was an Interfaith Youth Fellow at the Interfaith Center in NY. For the past four years, she has been deepening her understanding of different faiths and actively working towards creating a more accepting society for everyone. She was part of a program called My Faith Your Faith, which bring together teens from different faiths and encourages dialogue, engages students to participate in religious traditions, reflect on the problems surrounding faith in society and creates a better understanding of other faiths. In the future, she wants to help build bridges between people of different religions, especially in this divisive time and combat the stigmas that surround different faiths. Anna Del Castillo is a senior studying International Relations and Colonialism studies at Tufts University. She is a Mississippi native and engages diversity as a member of the Bridge to Liberal Arts Success (BLAST) program at Tufts. She is the student body Vice President, an organizer of the Tufts Indigenous Peoples Day movement, a Career Fellow, a Synaptic Scholar through the Institute of Global Leadership, a representative on the Undergraduate Admissions and Financial Aid Committee, and a member of the Interfaith Student Council. Anna is the lead ambassador for the Andrew Goodman Vote Everywhere team and because of her civic engagement work was invited to speak at the National Civic Leadership Summit in New York, was featured on National Public Radio (NPR) and in the Christian Science Monitor, and serves as a Harvard Institute of Politics National Campaign Ambassador. Anna is passionate about pursuing social justice and currently interns for Centro Presente, an organization focused on immigrant and worker rights. Oelmis “Emi” Fermin is an undergraduate student at Boston University majoring in Middle Eastern and North African Studies. 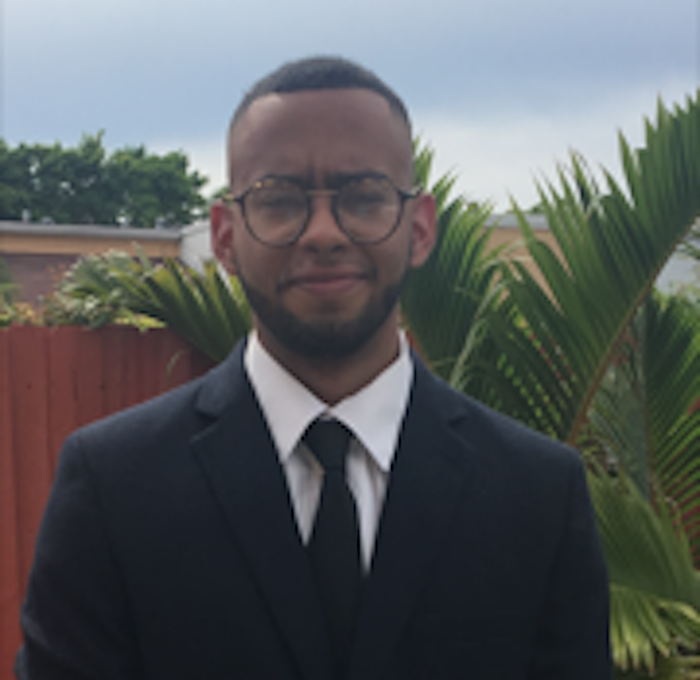 Born and raised in Miami, Florida, to immigrants from the Dominican Republic, Emi grew up speaking Spanish along with learning the cultural traditions of the nation such as dancing bachata, merengue, salsa, and playing baseball. Although raised in a Catholic household, Emi converted to Islam after fasting during Ramadan. Emi began his Studies at Florida International University as Theatre and English Major before transferring to BU. Aside from speaking English and Spanish Emi also speaks Italian and is learning Arabic, hoping to be fluent in the language. 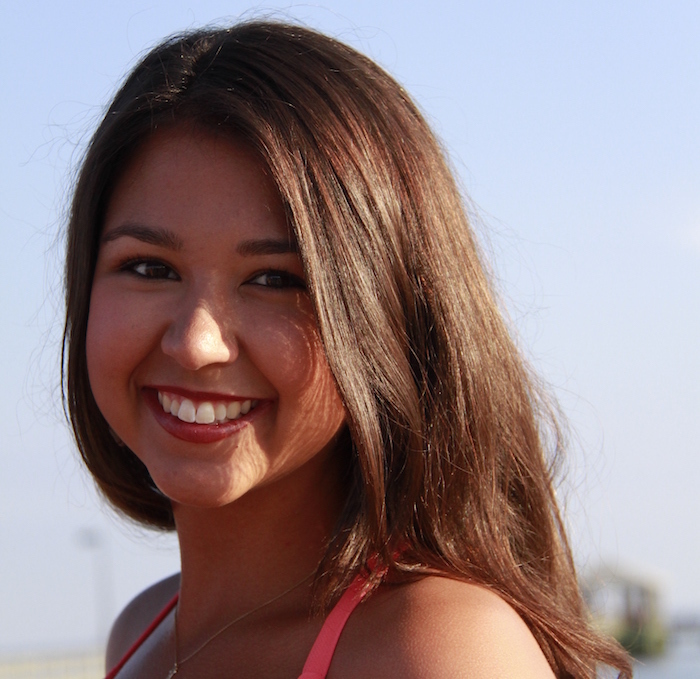 Upon graduation Emi hopes to join the Peace Corps and help make the world a better place. Emi also serves as a Marsh Associate at Boston University’s Marsh Chapel. With a great interest in interfaith relations, Emi hopes to encourage positive interfaith dialogue and collaboration to promote a more unified community in the greater Boston area. 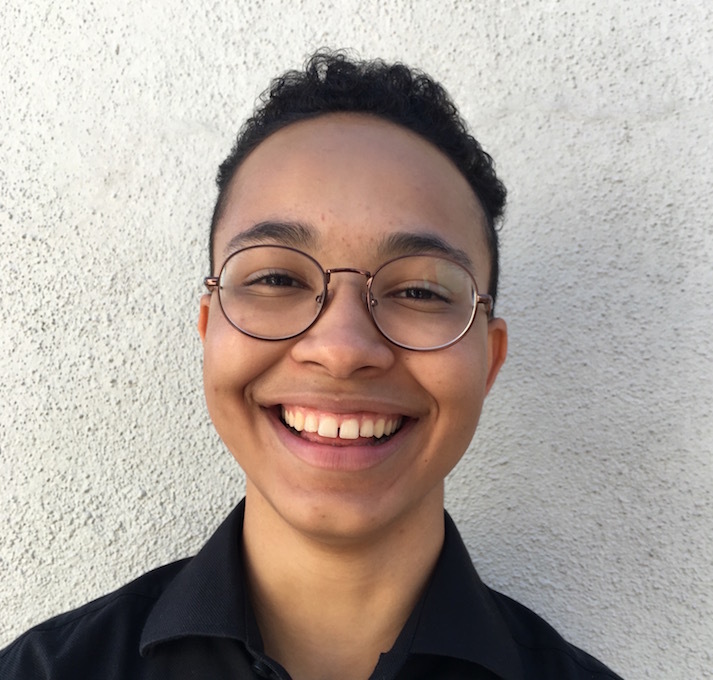 Alden Fossett is a freshman at Harvard College, interested in studying philosophy or history of art and architecture. 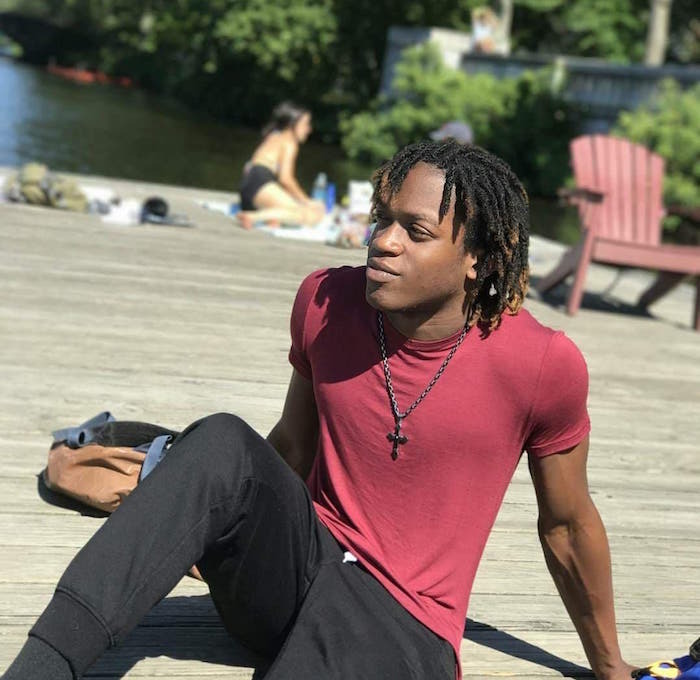 He is a part of dual degree Master’s program with Berklee College of Music, also in Boston, where he intends to study songwriting and music business. Originally from Los Angeles, California, Alden was raised attending Second Baptist Church and now considers himself to be a non-denominational Protestant. He became interested in interfaith work because he is very passionate about bringing the conversation of spiritual/religious/ethical traditions to a secular college campus, that, as of now, seems to be “allergic” to those discussions. He is also interested in how to facilitate and grow spiritual/religious/ethical life for the LGBTQ+ community and making them feel welcome in interfaith discussions. Miriam Israel is a senior at Tufts University studying International Relations and Arabic. She is from the D.C. area and attended Jewish day school for many years where she learned about the importance of religious diversity and debate. Outside of academics she is involved with Tufts Hillel, serves as a Head Delegate for the Model United Nations team, volunteers as a tour guide and is on a traditional Indian dance team. She has spent significant time studying and living abroad in Muslim-majority countries and loves being exposed to different faith traditions. 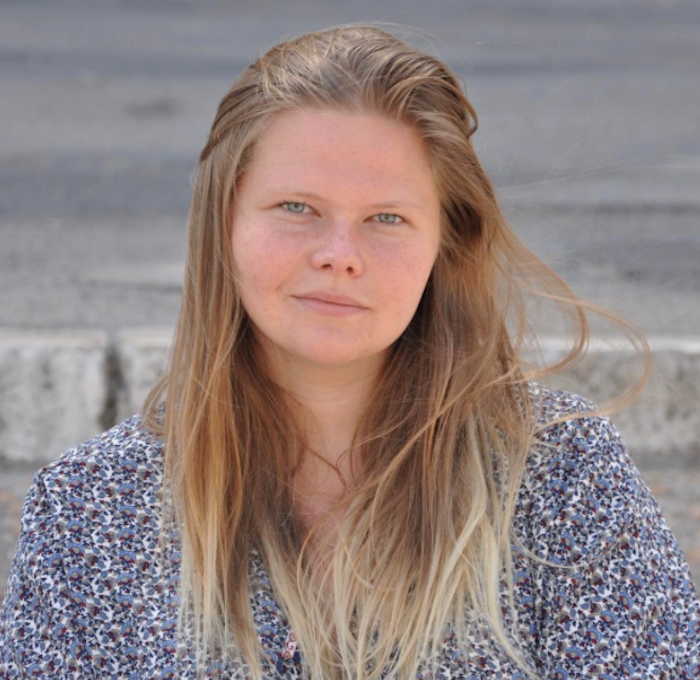 The study of language is also very important to her, particularly in the context of interfaith dialogue because it provides a way to connect with new people and gain a deeper understanding of their belief systems. She is very excited to be a part of BILI this year and can’t wait to work with and get to know the rest of the fellows! Hello! My name is Ann-Marie Lee, but my friends call me Annie! I’m a sophomore and Community Health and Religion double major at Tufts University, originally from Roseland, New Jersey. On campus, I run the Conversation, Action, Faith, Education (CAFE) interfaith student group, and am a core leader of both the Buddhist Mindfulness Sangha and Tufts Progressive Alliance; I’m also a devoted and motivated member of Tufts Labor Coalition and the Left Unity Project at Tufts. The common theme I pursue is that of justice through interfaith collaboration – my motto is that whenever you have two people working together, you have interfaith work. Bringing together people of different backgrounds and ideologies to achieve fairness and opportunity for self-determination is one of the greatest challenges we face today, not just in Boston but across communities all over. I’m excited to be a part of BILI, and can’t wait to sow some seeds of change! 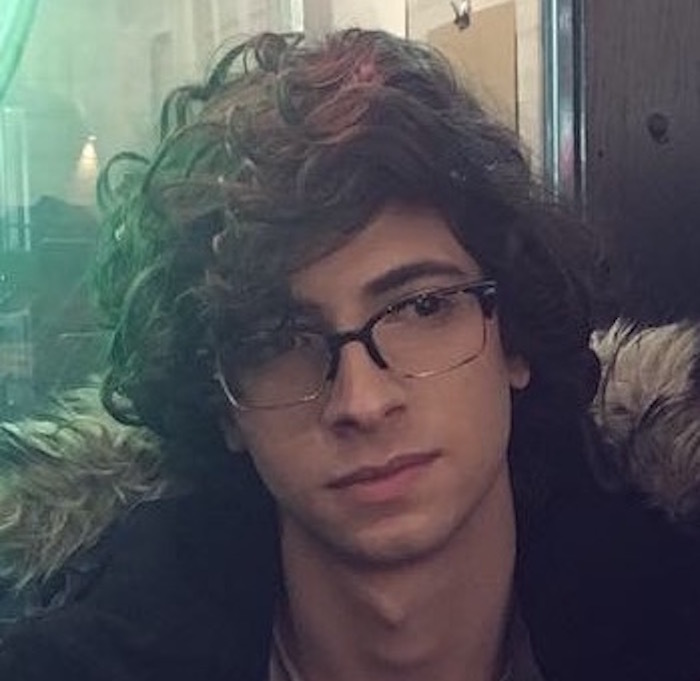 Emmanuel Nicolella is a queer Latinx Syncretic Humanist and Existentialist born in Barranquilla, Colombia in the evening hours of August 10, 1995. They are currently in their 5th and final year as a biochemistry major and sociology minor at Northeastern University. Emmanuel is also a painter and a poet and believes in the revelational synergy of science, art, and the study of human society and culture as quintessential to the human experience. They are a member of the leadership of various extracurricular activities on campus including Northeastern’s Interfaith Council, the Onyx Informer, an online publication by and for students of marginalized identities, and SAID (Students Against Institutional Discrimination), a campus organization that works to end institutional injustice at Northeastern and its surrounding communities. They are passionate about many things, and thus have little to no clue what they’ll actually be doing after graduation. 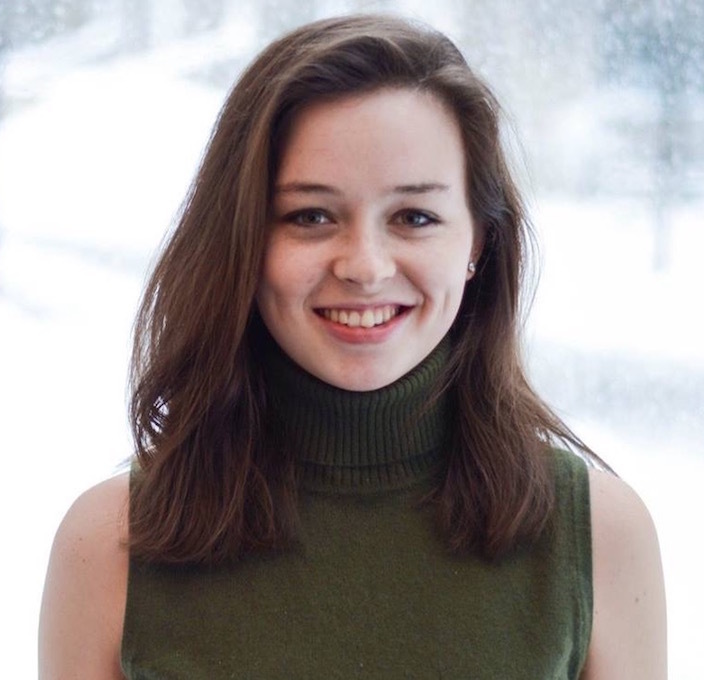 Maritt Nowak is a senior at Boston University studying international relations at the Pardee School of Global Studies and minoring in religion. She’s originally from St. Louis, Missouri, but loves the opportunity to be living and studying in Boston with other students from around the world. Maritt grew up attending Catholic school, but spends her time today between interdenominational Protestant worship and studying Islam. 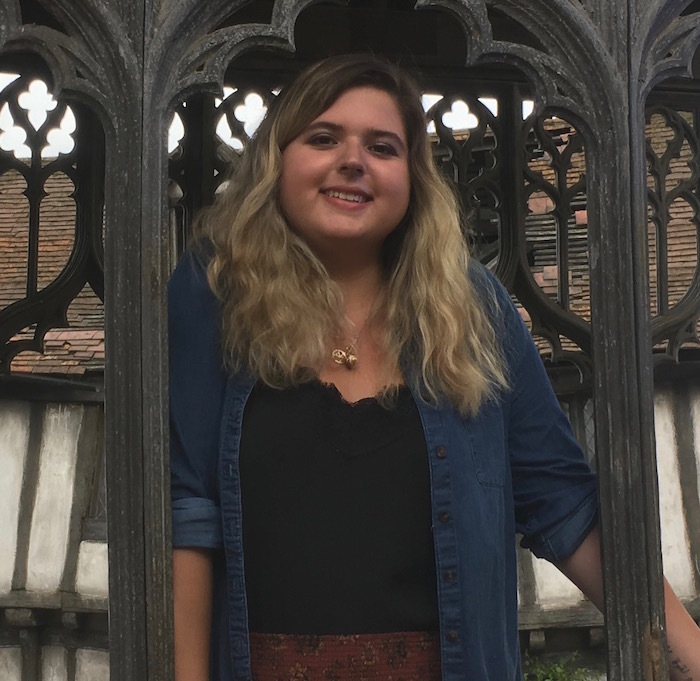 Her passion for interfaith was sparked at a Shabbat service during her freshman year and she’s been exploring the landscape of religious diversity on campus ever since. Although she is unsure what her future in faith will be, she enjoys the supportive community and spiritual fulfillment she’s found working at Marsh Chapel as an undergraduate associate. 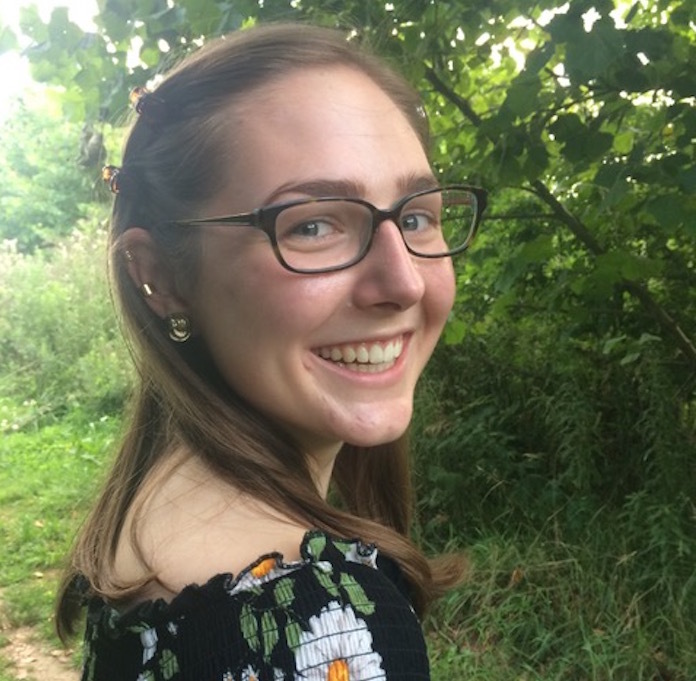 She hopes BILI will be an opportunity to be in contact with more opportunities for interfaith engagement, as she believes the best way to learn about who you are is to see yourself in others. 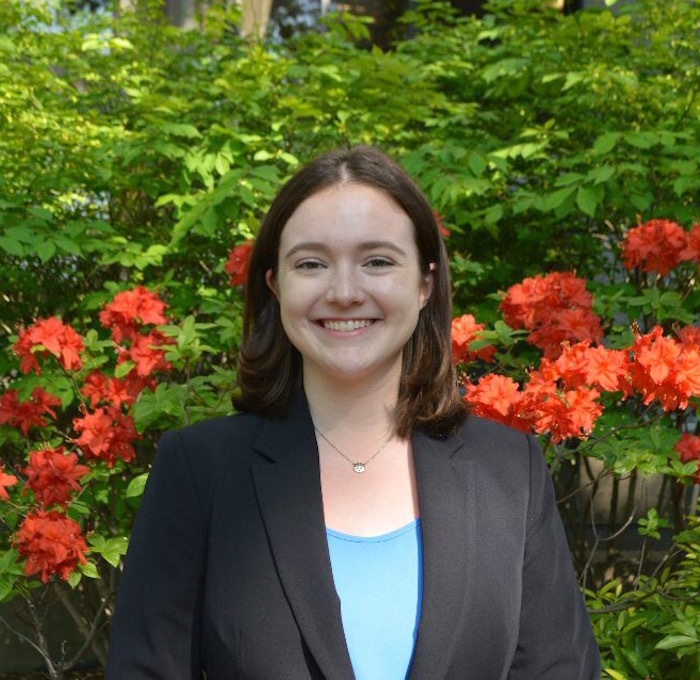 Phoebe Oler is a junior at Boston University studying Biological Anthropology. She is a Marsh Associate for Boston University’s Marsh Chapel, where she leads congregation, engages with the community, and contemplates her faith. She is also a member of the Marsh Chapel Choir, singing first soprano because she loves singing high notes. Phoebe grew up singing in an Episcopal Church in Greenwich, Connecticut. She continued singing throughout high-school in a secular setting. Phoebe found her faith again at Marsh Chapel her freshman year, where she feels strongly connected to the Methodist tradition. However, she still considers herself undecided on her spiritual journey. 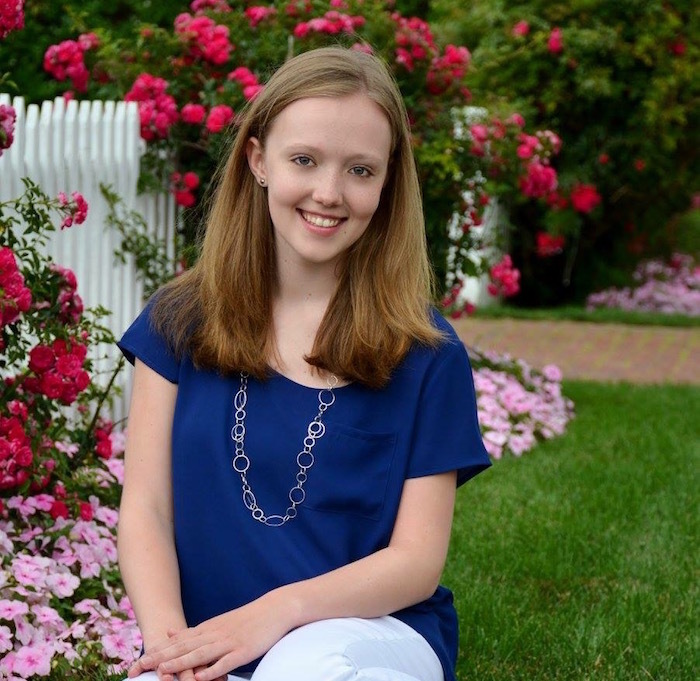 Katie Owens is a third year student at Northeastern studying Behavioral neuroscience. She is a leader of Northeastern’s Interfaith Council and truly believes in its mission to promote understanding, respect and friendship between people of different backgrounds. 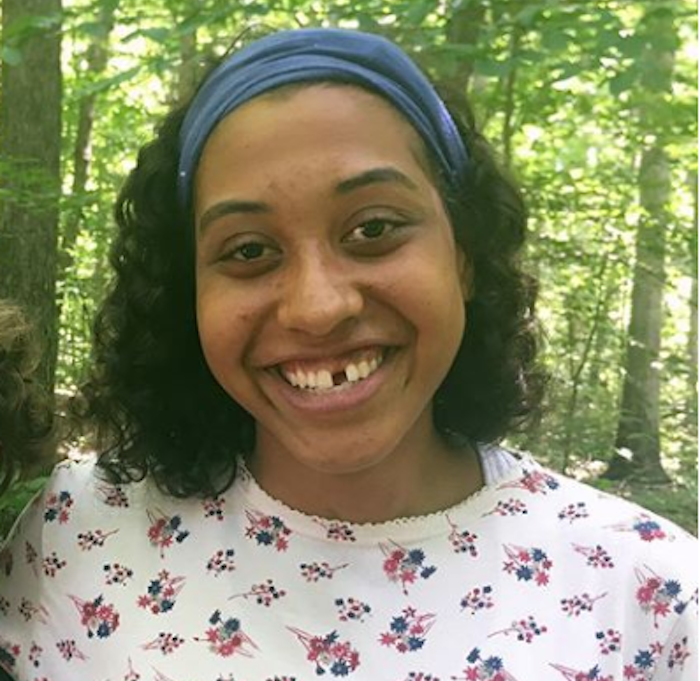 Katie is also apart if Intervarsity Multiethnic Christian fellowship and has enjoyed the space to explorer identity in Christ, particularly as a part Latina woman. After college her tentative plan is to be a doctor for underserved populations in the US or abroad. She believes that our conceptions of what life could look like is nothing compared to what God has for us, so she continues to embrace uncertainty and live one step at a time. She hails from the beautiful Southern California, she loves to walk long distances, ice cream, birkenstocks and musical theatre- oh and Jesus, she loves Jesus. Hello! My name is Sanjana Thakur. I grew up in Mumbai, India, with my parents, sister, grandparents, and a succession of tortoises, cats, and dogs. When I was fourteen, my family moved to Dubai. That’s where I graduated high school – in an international school surrounded by peers from over eighty countries. It was a wonderful experience that exposed me to different cultures, religions, perspectives, and beliefs, and it prepared me well for where I am now. 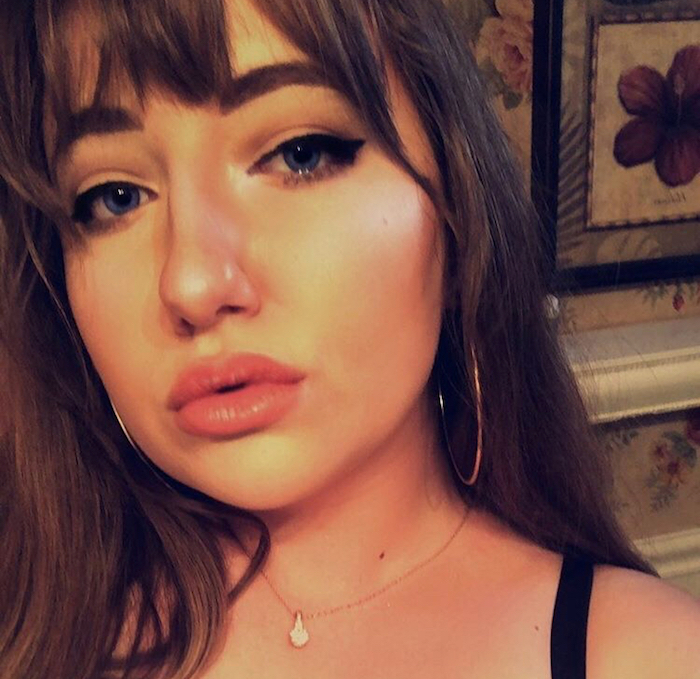 I am currently a sophomore at Wellesley College double majoring in Anthropology and English with a concentration in Creative Writing. 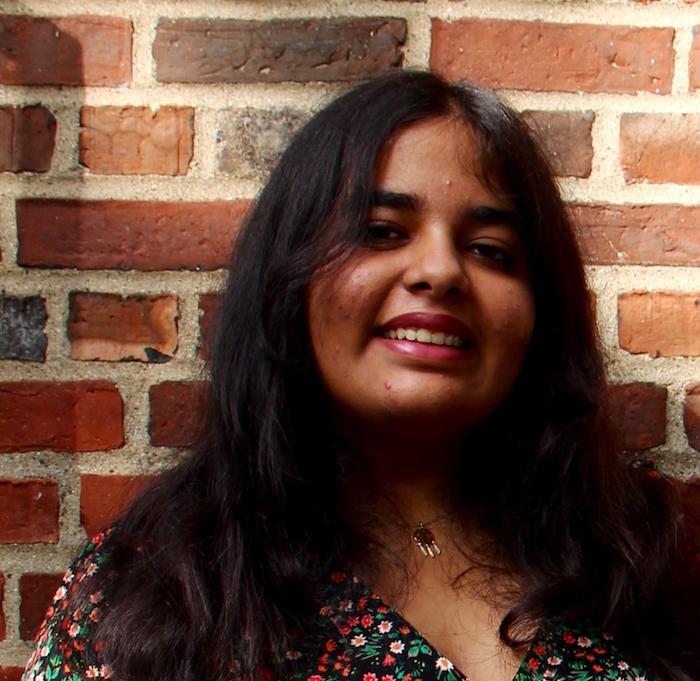 I am part of the editing team for two magazines on campus and a member of Darshana, the Hindu organisation. I am also a research assistant for a professor in the Anthropology department. Here are some fun facts about me: I skype my dog and cat at least once a week, my name means ‘gentle’ in Sanskrit, and I burnt myself with a firecracker on Diwali when I was five so now I am terrified of fire. Through the BILI Fellowship, I hope to participate in cross-cultural, interfaith conversations with people from varied backgrounds and gain insight into the role that religion plays in the world today.